This summer whisk your special someone off their feet with a surprise romantic weekend to the beaches of southern Maine. The area is known for its picturesque lighthouses, extensive sandy beaches and relaxed fishing villages. Situated only 90 minutes north of Boston, Maine is the perfect weekend escape. Make sure to pack a bathing suit, sunscreen and some fancy outfits for this romantic getaway to Maine. A Friday of firsts: As you make your way into Maine, set your first stop at Nubble Lighthouse on Cape Neddick. 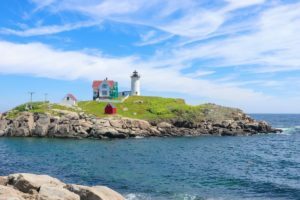 Enjoy a quick stop at the most photographed lighthouse in New England. 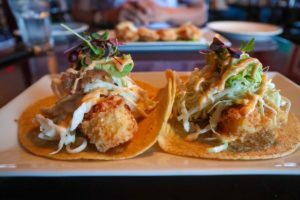 There is also the first chance to get a taste of the fresh Maine seafood and lobster at the nearby Fox’s Lobster House or share a cone of homemade ice cream from Dunne’s. Check into the luxurious accommodations at the Port Inn Kennebunk, your home base for the romantic weekend. Layback and relax in the plush king size beds. The Port Inn offers a heated outdoor pool and a solid continental breakfast if you find yourself not wanting to head out. Start the weekend of right at the romantic Clay Hill Farm for dinner on the deck, surrounded by the luscious gardens and colorful flowers. Enjoy a seasonally inspired menu featuring local ingredients to the backdrop of live music. Photo by Joan Marcus (Ogunquit Playhouse)End the evening off with a hair raising performance at the Ogunquit Playhouse. They run some of the best Broadway musicals and soon to be Broadway hits from the late spring through the early fall in a theatre built in 1937 exclusively as a seasonal theatre. Grab a drink at the bar before enjoy a musical delight with your loved one. During our visit, we saw the lively Smokey Joe’s Cafe on its way to New York. The theatre has a different musical each month, so make sure to check the calendar on what is playing when you visit. A sun filled Saturday: Start the morning off with a romantic scenic flight over the coast of southern Maine. Head on over to the Sanford Airport to enjoy a scenic flight with Southern Maine Aviation. During the hour long flight you see the rocky coast and sand beaches stretching from Portsmouth, NH to Portland. You can request a more customized flight if there is a specific spot or lighthouse you want to view from above. After the flight, make your way over to Old Orchard Beach to enjoy a stroll through the few main streets of the city and out onto the bustling pier overlooking the beach. Along the water is Palace Playland, an amusement park where you can test your skills at the many games to win your loved one a stuffed prize. For lunch, or just drinks, check out the rooftop ocean side deck at Joseph’s By The Sea. Enjoy a specialty cocktail and some fresh me nu items with amazing views of the calm water below. Spend the afternoon tanning in the sun and splashing in the waves of Old Orchard Beach along its seven mile stretch of white sands. We found that the further you are from the pier in either direction the less crowded of beach you will find. Either enjoy sunset on the beach or as the sun begins to go down, make your way into downtown Kennebunkport for dinner at Salt & Honey. Prepare your taste buds for traditional New England foods with an intriguing Southern twist. A lazy Sunday: It would not be a true romantic weekend without a little bit of sleeping in. Savor a few hours of extra rest and possibly a dip in the heated outdoor pool at the Port Inn Kennebunk before packing up and checking out. Make your way into Kennebunkport for a romantic brunch at Pearl. We highly recommend the fixed price brunch option with your choice of two courses and coffee, mimosa or bloody Mary for $35.This will leave your taste buds happy and stomach full through the afternoon. To finish off your romantic weekend along the beaches of Maine with a stroll down the picturesque village of Kennebunkport. Make your way through the many boutique stores dotting the street and find the perfect souvenir to remember this romantic getaway. 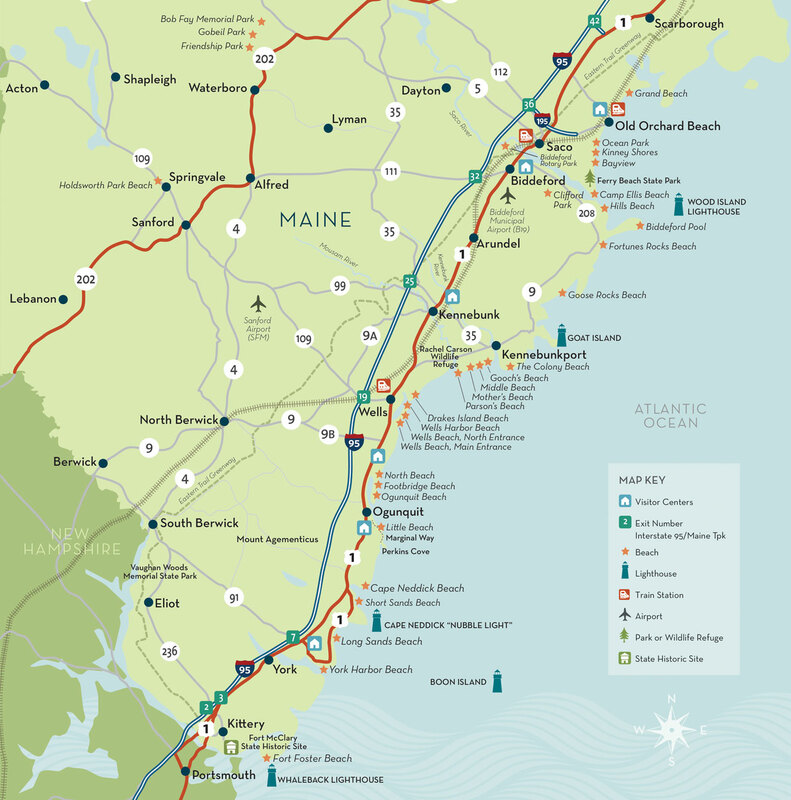 Once you are done exploring Kennebunkport it is time to grab your loved one and head on home. That is unless you both want to extend the trip to an ultimate week in Maine!